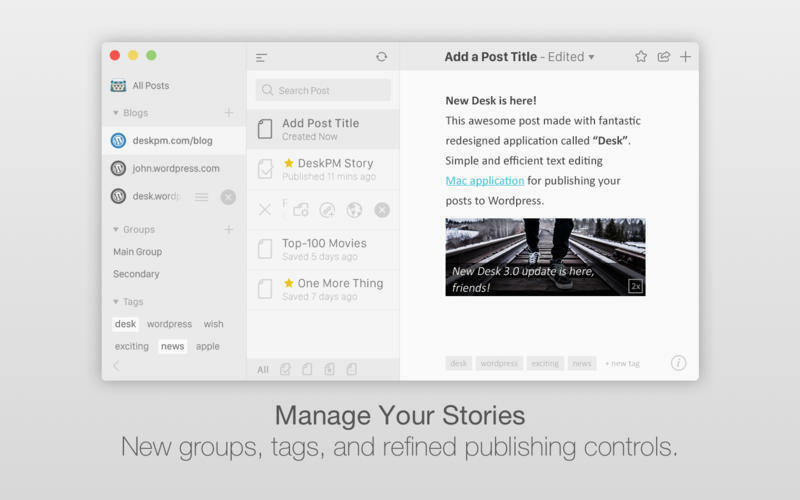 Writing, blogging, and notes app for WordPress. Is there a better alternative to Desk? 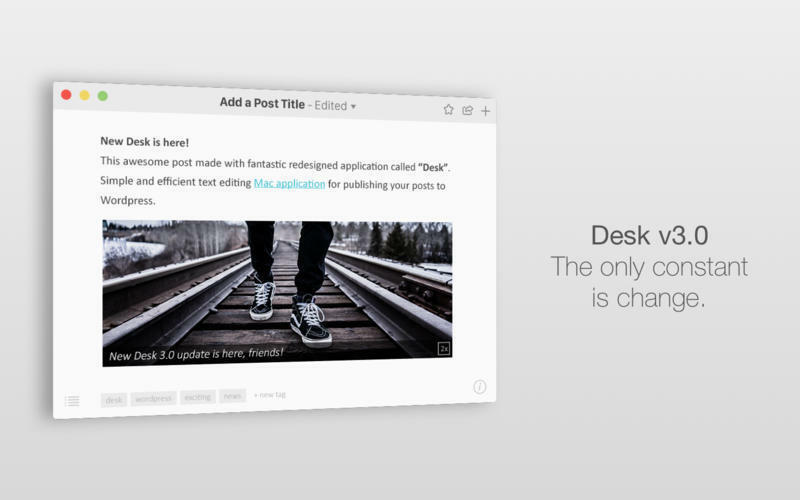 Is Desk really the best app in Desktop Publishing category? Will Desk work good on macOS 10.13.4? 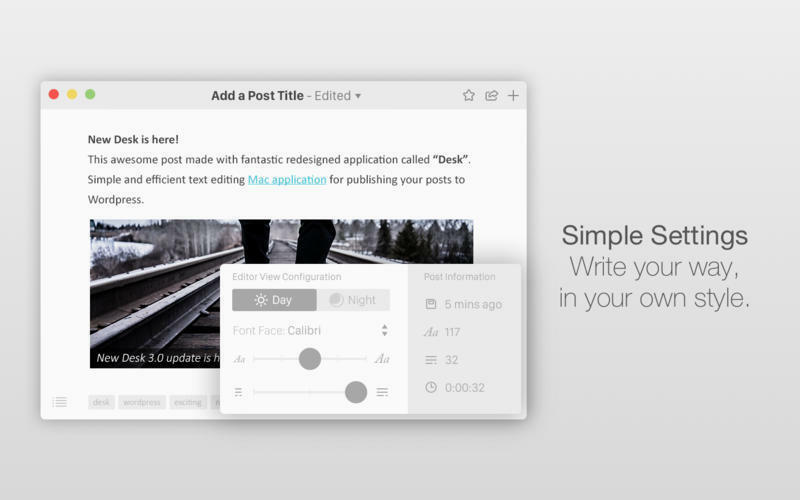 Desk is a premium writing experience for all types of writers, bloggers, thinkers, and doers. Whether you're a casual enthusiast, the weekend writer, blogger, or digital publishing professional, you'll find Desk to be a much-needed breath of fresh air. Designed to marry both function and form, it is the desktop publishing client that you've always wanted: Simple, intuitive, powerful, and fast. Write, college, categorize, and tag your work! 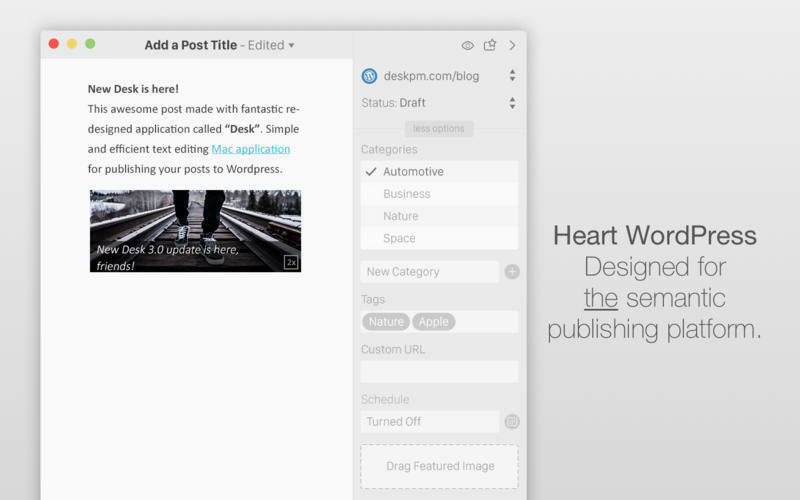 You can then publish your selected works to multiple WordPress blogs and edit existing posts with ease. Note: Now requires OS X 10.11 or later. 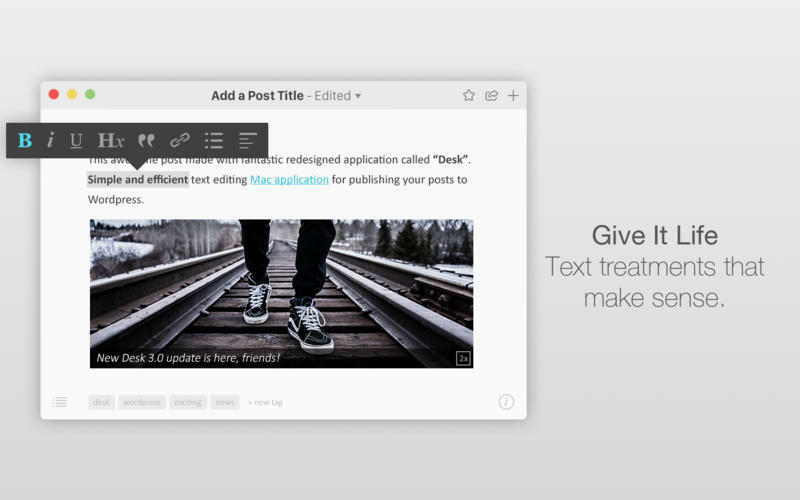 Use our streamlined WYSIWYG editor or Markdown.